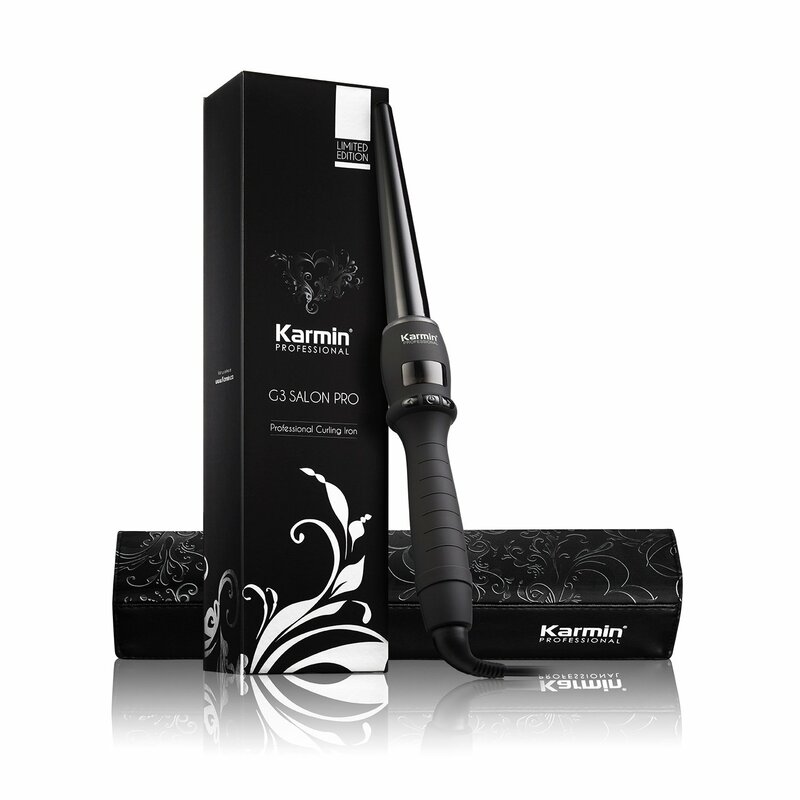 This Karmin curler might come from a small and minor company but don’t let that stop you from getting it; it heats up fast, looks great and will give you a great set of curls. While the narrow tapered barrel is excellent for tight and spiral curls (and even waves with a bit of skill), it’s too narrow for large, fat curls. Unfortunately it takes a pretty special wand to be able to do both, so it’s no surprise. This iron is fast and easy to use and you won’t have to spend a lot of money to get it. I’m impressed by this and I thoroughly recommend it. A small and relatively unknown Canadian company, Karmin has limited experience in the industry but has been plugging away for some years now. While they may not yet have the marketing genius or advertising skills of some of the major brands, their products are standing the test of time and the designs of their most popular products are just as good as the major players. As with all Karmin products, the box is high quality, attractive and something to be kept, not discarded. When companies make an effort to present their products well it really stands out and makes a difference. Immediately the packaging makes me feel like this is a curling iron worth using. Curling irons always used to be a bit on the risky side, especially when you were in a rush, as their hot plates are so much more exposed than those of straighteners. 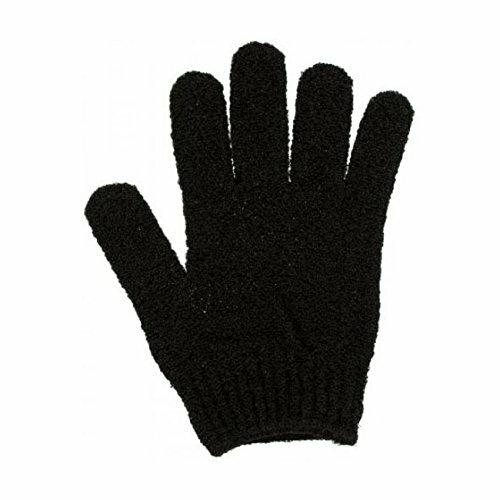 This Karmin model however, comes with a heat protective glove that makes you feel a little like Michael Jackson and ensures you don’t burn your hand. Without a clip to secure the hair in place you must hold the hair yourself but this makes for a much smoother curl – no more strange clip-caused lines. 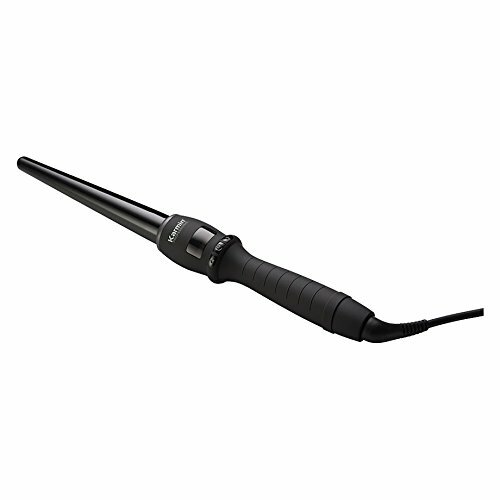 This Karmin curling iron is simple in sleek black and the ceramic and tourmaline barrel is also black, giving the whole thing an elegant appearance. This is my favourite style of curling wand and the 3 metre swivel cord is ideal. The digital screen is flush in between the barrel and the comfortable handle and the on/off button and temperature buttons are small and in line with the design as well. Clunky buttons make for a bad product but this features simple and smooth ones. The variable temperature is controlled by the arrow buttons either side on the on/off switch and the temperature is easily controllable in 5 degree increments starting at 80 degrees (celsius) and finishing at 220. The barrel heats up extremely quickly and you’ll be curling your hair to perfection within 10 seconds. The slim handle is super comfortable and you won’t struggle to hold on for the time it takes to go Sandy-from-Grease if that’s what you want. The barrel is wider at the base than at the tip which means you can go for tight or loose curls or even put waves into your hair with ease. While there are plenty of people out there who curl with a straightening iron, I think if you’re serious about good curls, you need a good curling iron and this is one. The instruction manual is printed on glossy paper in a matching style to the box and offers information and tips in easy to read print. The Product Registration slip is also on glossy paper and gives all the necessary information with which to register your iron.